Overnight oatmeal is a weekly occurrence around here. I love having a delicious, satisfying breakfast waiting for me in the morning. 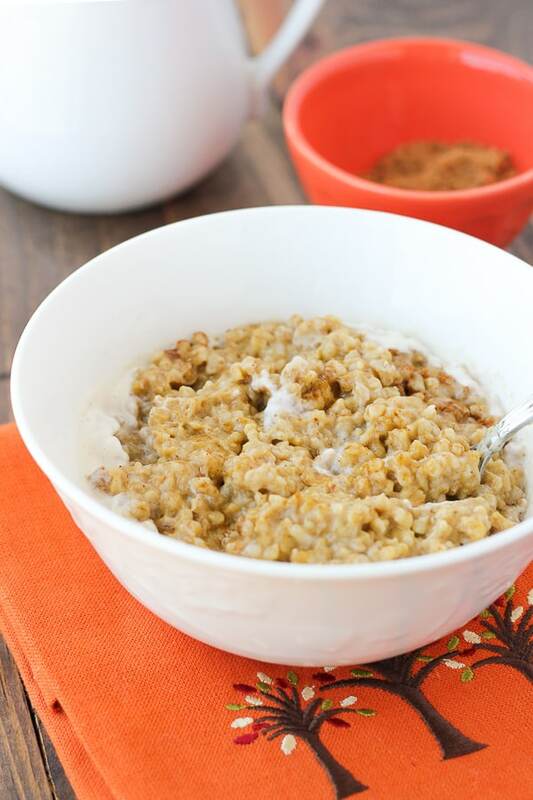 This pumpkin maple version takes overnight oats to a whole new level. It might make you leap out of bed in the morning! 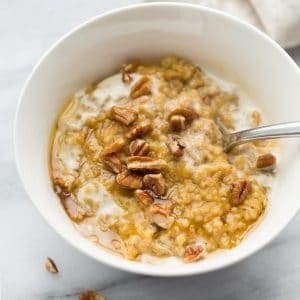 Since pumpkin season has rolled in I haven’t been able to stop thinking about this pumpkin sweet brown rice pudding. 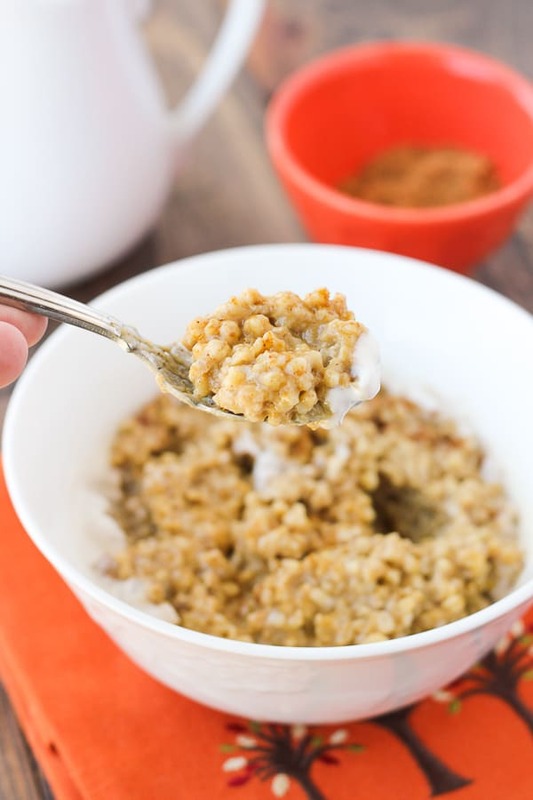 This oatmeal brings the creaminess and flavors of one of my favorite fall desserts into breakfast. It feels like eating rice pudding for breakfast (which is fine by me anyway). I add coconut milk to the cooking liquid to up the creaminess factor. You can use any milk or milk substitute you like. 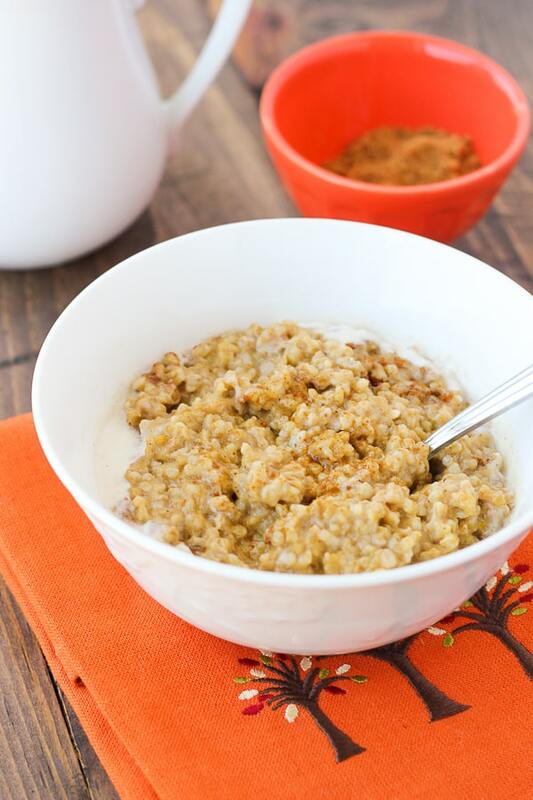 This recipe is also great for using up leftover pumpkin puree you may have in your fridge. I can’t tell you how excited I get about cooking this time of year! Give me all the pumpkins and apples please. And roasted turkey breast with cranberry sauce and molasses cookies. 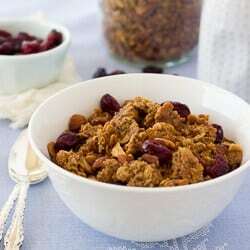 What are your favorite fall foods? Place the water and coconut milk in a medium pot and bring it to a boil. Add the oatmeal, pumpkin pie spice and salt and stir to combine. Bring to a boil and cook for 1-2 minutes. Watch it and stir/adjust the heat as necessary as it has a tendency to boil over. Turn off the heat and place the lid on the pot. Let it sit overnight. The next morning, turn the heat onto medium and stir the oats. 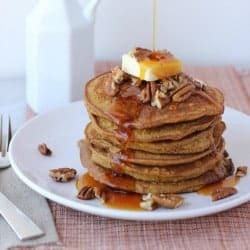 Stir in the pumpkin and maple syrup. Cook for 10 minutes until heated through and soft. Enjoy! Leftovers store great in the refrigerator for reheating. I’m planning on making this tonight. I’m just making sure I’m reading correctly. It says to put a lid on it after it boils. Are you suggesting to leave it on the stove top all night? Or in the fridge? I’m thinking putting it in the fridge right away might change the texture? I don’t not sure though….. I’m super excited about the making this. Thank you!!! !